This short summary necessarily misses out so many people who have served the Club with distinction over the years. I apologise for any omissions. A ‘Harriers’ (or running) club was definitely in existence in 1889, and possibly earlier as there is a record of a Harriers 14-mile ‘paper chase’ in 1884. 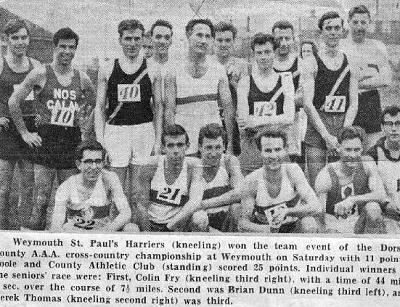 We have a long, proud tradition of sporting history within the Weymouth area going back 120 years or so.This club was named Weymouth Harriers. Weymouth St. Paul's Harriers, 1909. 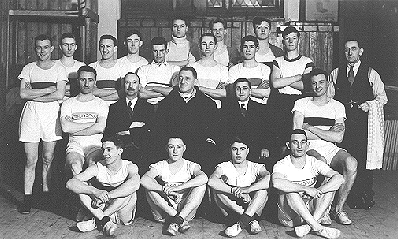 The athlete third from left at the front is holding the Hurdle Cup. 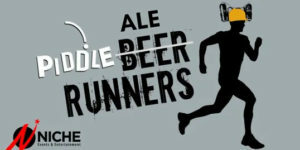 By 1904 Westham St Paul’s Harriers was in existence when they were presented with The Hurdle Cup (named after a local butcher & athlete) for the winner of the club’s 10 Mile race. The cup was later renamed the T G Copp Cup after that athlete won it three times in succession enabling him to keep the trophy permanently. In recent years this cup has been presented to the WSPH athlete who is judged to have given the best performance for the year. By 1912 there were three running clubs in Weymouth – Westham St Paul’s, Weymouth Town Harriers and Weymouth YMCA Harriers. It is not clear how long each of these lasted as separate clubs but, by the mid 1920s Weymouth St Paul’s Harriers was in existence – probably as a result of mergers between some, or all of the above. Team photograph taken around 1927, showing the white and green vests which are still the WSPH and AC colours. 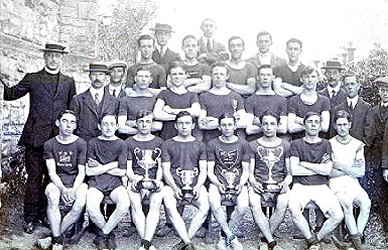 A good standard of competition existed with keen rivalry between the three clubs mentioned above plus Dorchester YMCA Harriers and a Weymouth athlete (born in Guernsey) Percy Hodge who, as well as being Dorset AAA Steeplechase champion on four occasions and winner of numerous cross country races around England, won Olympic Gold in the 3,000 metre Steeplechase at the Paris games of 1920. In the 1920s and 30s the club was strong on the road, with many races taking place on Portland, in cross country, with a tough course at Lodmoor and also on the track – events were held at the old Weymouth FC pitch at the Marsh (now the Asda supermarket). During the war, the club’s activities were temporarily suspended, but several athletics events took place between forces units based in and around Weymouth. In 1943, Ross Keel (a prolific performer for WSPH) came 3rd in the Inter-Services Mile which was won by Sydney Wooderson, the British Mile record holder and Cross Country Champion at the time. After his death in 1983, his wife donated the Ross Keel Cup for presentation to the year’s outstanding WSPH athlete. 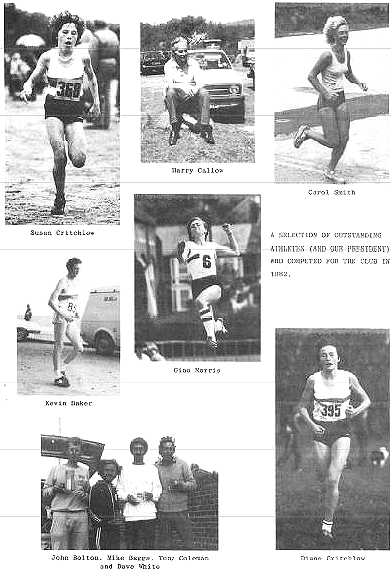 In 1948 a new committee took over the running of the club, as WSPH members returned from active service, and from then on through the 1950s and 60s (especially after the [then] state of the art track was opened) WSPH became a force to be reckoned with throughout the southwest of England, with many athletes representing Dorset in all disciplines. Some names from those days are still with us as Life Members of WSPH – Brian & Charlie Dunn, Brian Copp and Ron Jones. In the 1970s, with the encouragement of club President Harry Callow, a strong Race Walking section developed and spread the club’s fame even further to back up further achievements in all disciplines. 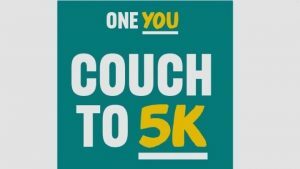 Also a strong youth membership made its presence felt and this state of affairs continued through into the 1990s with the help and encouragement of dedicated coaches some of whom like Pete Clarke and Tony Faulkner (both Life Members) also competed at every opportunity. The Ladies section also grew in strength and had great success at all levels of competition. Still with us is Carole Smith (Life Member) who has earned Gold medals at several European & World Veteran Championships on the track (both Indoors & Outdoors) and the ever consistent Judith Boichot (also a Life Member. Throughout these decades there was considerable strength in depth, which meant that we could nearly always guarantee fielding full teams. 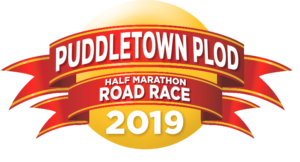 There were many successes both at school and club level, with WSPH athletes reaching national competitions and having recognition in other allied sports, such as Modern Biathlon and Triathlon as well as Olympic & Ironman Triathlon. The formation of Egdon Heath Harriers, which concentrates solely on Road Running, led to the loss of many of our best senior & veteran athletes and this, coupled with retirements, deaths and movement of athletes away from Weymouth, has led to a fairly lean period over the last 10-15 years, although that does seem to be changing at last. Several factors, including the decline in athletics within schools, the state of the track – which has suffered over the years from lack of maintenance as well as vandalism – and a shortage of higher level coaches have meant that several of our more experienced athletes have moved to join other clubs as 1st claim. We are now concentrating on the development of the next generation of athletes, many of whom are showing considerable promise. The possibility of a new all-weather facility at Redlands poses exciting prospects for the future and we as a club must be ready to take up the challenges that are coming our way. This history is summarised from a much more comprehensive account created by David Bucke (former Club President, Club Captain, all-round athlete & Life Member of WSPH).